Contemporary art consultants, Velvenoir, shed expert light on how contemporary art can make a difference in corporate spaces. Covering the power of a bespoke art strategy in increasing productivity and creativity; the important considerations to bear in mind when investing in contemporary art, and how art consultants play a vital role within this process. As Deutsche Bank states; art builds, art questions, art transcends borders, art works… A corporate art collection should not only be focused on investment, rather it should align with the company’s every moral and value to become part of it’s DNA. 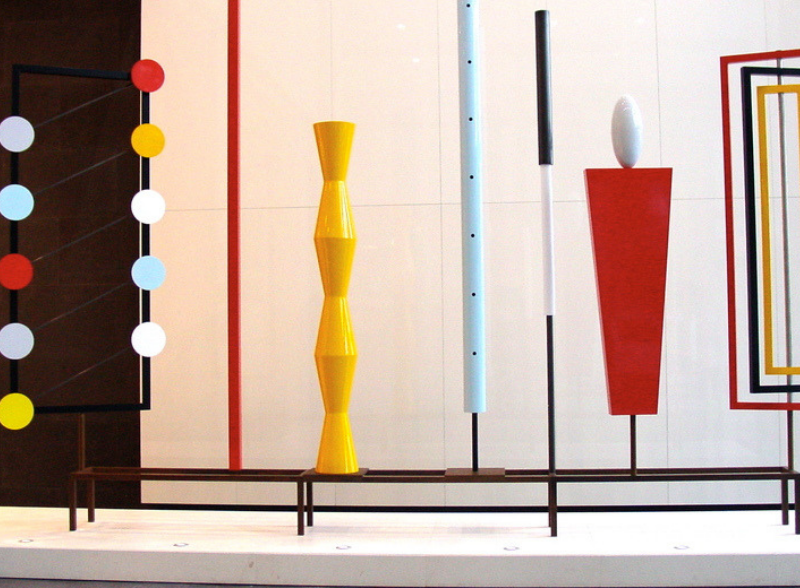 An art collection can be a powerful communication tool that speaks to clients as well as employees. In today’s world, we are busy on a daily basis, with barely the time to relax, take a break and simply enjoy the little things in life – especially when we sit in front of a huge to-do list in offices, surrounded by equally busy colleagues in an even busier workplace. This is where art – or better still – a curated art collection, comes into play. A carefully curated art collection allows people to connect, builds engagement, and inspires them daily. 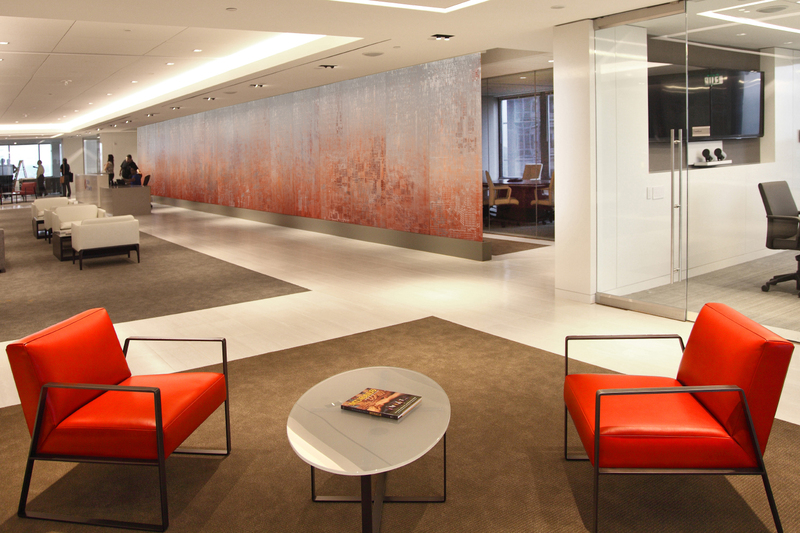 Some believe design is the key, but research has shown incorporating original artwork does not only offer various ways to inspire employees, but also allows them to relax and be part of the corporate culture that the firm has to offer. In the end, the art collection should be utilised strategically to make employees feel a part of the companies DNA; even incorporating team members in the selection and installation process. 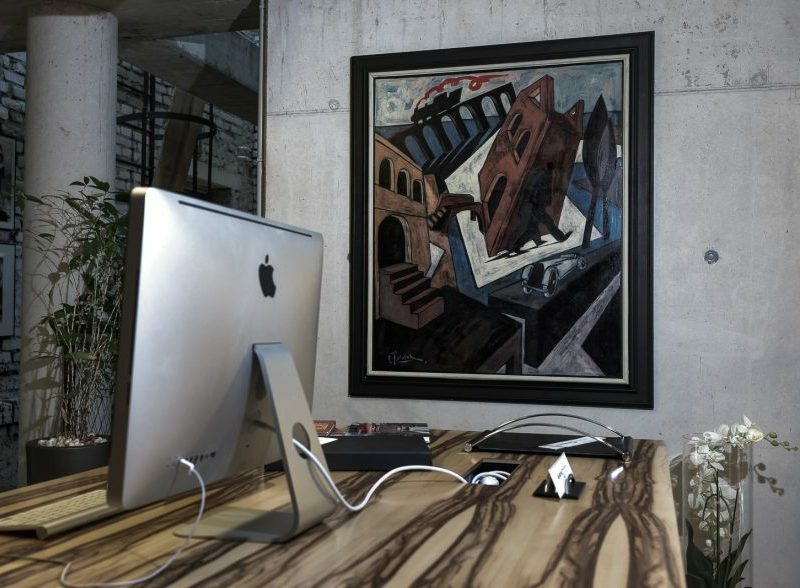 This article will outline the importance of incorporating original artworks in a corporate environment and how to make the most of your art concept to benefit employees and clients alike within corporate projects. First, it’s important to understand that art inspires creativity and leads to an increase in productivity. 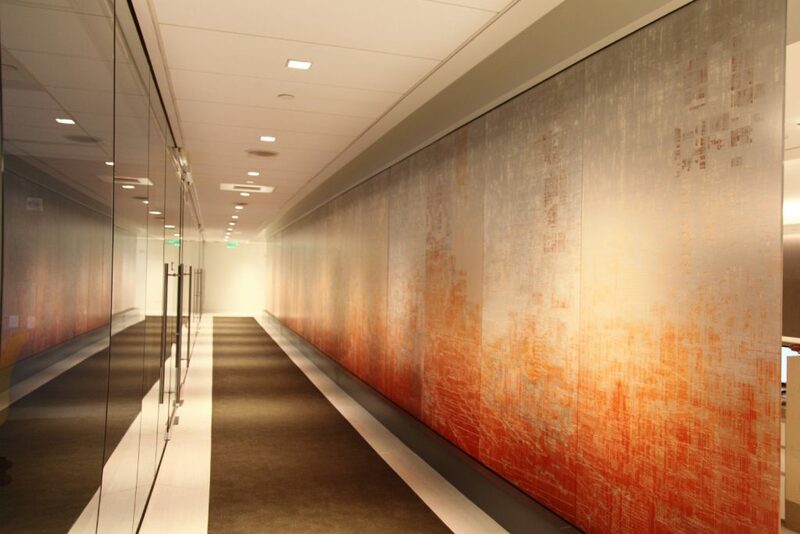 A curated art collection embodies the corporate value behind a firm, reflecting innovation and entrepreneurial spirit. Various surveys conducted over the years have shown that well-chosen art makes employees and their workplace feel more welcoming and also improves the individual and collective wellbeing. Doctors have even started recommending art psychotherapy to help patients explore their mental health, so it seems visiting a gallery/museum could soon replace the popularised practice of retail therapy! It’s also important to note that art is also a financial asset – even when investing in emerging and up-and-coming artists. Making the right emotional and financial investment for your projects therefore boils down to the strategy behind it, and this is where an art consultant comes in to support the selection process. First things first, you and your team should work in collaboration with the art consultant to establish the basic requirements of the project to align the art selection with the project brief. You should develop an overall vision and strategy for the art; an allocated budget; the desired locations / spaces in the office or building; as well as the deadline and initial ideas on how to utilise it. Once those questions have been answered, it becomes about researching local and international artists to start the selection process with your team. It is a very personal and hands-on approach in order to best source and suggests artists that reflect your vision, align with the interior design scheme, as well as convey the firm’s philosophy and overall corporate identity. Additionally, arranging artist studio meetings or inviting artists to showcase their work are all part of the process. Once the art selection is confirmed and agreed with you and your team, the acquisition process, logistics, and installation with professional art handlers are the next steps. 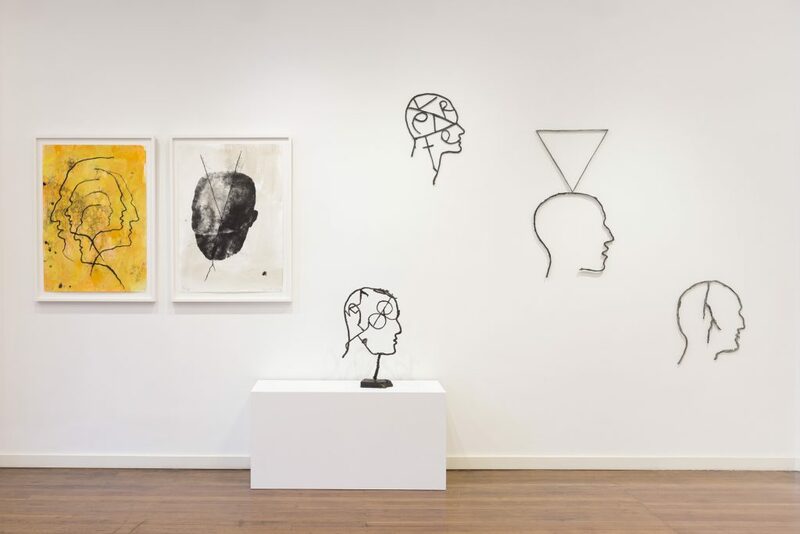 The final art collection can feature literally any shape, size and medium that you desire or that is required for the space; from large-scale sculptures, interactive digital art, screen prints and textiles to paintings, photography and neon art installations. In the end, it all derives from the concept behind the collection and the detailed strategy developed and implemented to communicate the end-client’s values, philosophy and passion to support the culture of the company and enhance the overall interior design. Not to mention the potential of the art increasing in value over time, making for even happier clients!